What Happened? 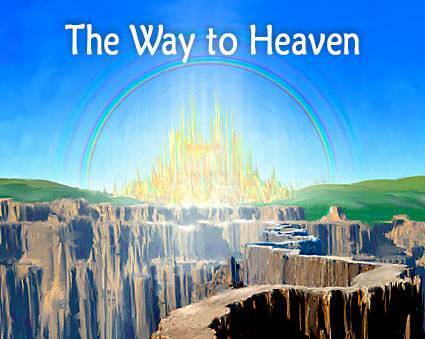 | Lesson 3 Questions in series "The Way to Heaven"
You should be quite familiar with the questionnaire routine by now. If you believe the concepts you have been studying, you should find real excitement in learning more about the God who made you, who made the universe and who loves you. If you do not yet believe that the God of the Bible loves you we trust you are still finding these studies interesting. Tell us about your areas of doubt. If the lessons are helping you in some special way tell us about that as well. These lessons are being brought to you by individuals (Jonathans) who believe there is nothing more important than having a relationship with God through Jesus Christ. We have called such individuals Jonathans, and their purpose is to have a caring role in your life. Each set of answers that you complete is one further step toward an award that will be an ongoing encouragement to your spiritual development. Read the verse or verses from the Bible and then answer the question that follows. a) a spontaneous cosmic accident known as the "big bang." b) the probable working of spiritual forces beyond our understanding. c) the purposeful act of God. Psalms 33:6 and 9: "By the word of the Lord were the heavens made: and all the host of them by the breath of his mouth...For he spake, and it was done; he commanded, and it stood fast." Hebrews 11:3: "Through faith we understand that the worlds were framed by the word of God, so that things which are seen were not made of things which do appear." a) the breath of God's mouth. Genesis 1:26-27: "And God said, Let us make man in our image, after our likeness: and let them have dominion over the fish of the sea, and over the fowl of the air, and over the cattle, and over all the earth, and over every creeping thing that creepeth upon the earth. So God created man in his own image, in the image of God created he him; male and female created he them." c) the planets, sun, moon and stars (universe). Genesis 2:16 & 17: "And the Lord God commanded the man, saying, Of every tree of the garden thou mayest freely eat: But of the tree of the knowledge of good and evil, thou shalt not eat of it: for in the day that thou eatest thereof thou shalt surely die." a) that they were not to leave the Garden. b) that they were not to eat the fruit of the tree of the knowledge of good and evil. c) that they were to wear clothes at all times. Isaiah 14:12-17: "How art thou fallen from heaven, O Lucifer, son of the morning! How art thou cut down to the ground, which didst weaken the nations! For thou hadst said in thine heart, I will ascend into heaven, I will exalt my throne above the stars of God: I will sit also upon the mount of the congregation, in the sides of the north: I will ascend above the heights of the clouds; I will be like the most High. Yet thou shalt be brought down to hell, to the sides of the pit. They that see thee shall narrowly look upon thee, saying, Is this the man that made the earth to tremble, that did shake kingdoms; that made the world as a wilderness, and destroyed the cities thereof; that opened not the house of his prisoners?" a) Lucifer (or Satan) rebelled against God. b) Eve disobeyed God by eating an apple. c) Adam and Eve killed an animal for food. You need to read all of Genesis 3 to find what the Bible says about sin coming into the world. Genesis 3:4-6 and Romans 5:12 give the outline. Genesis 3:4-6: "And the serpent said unto the woman, Ye shall not surely die: For God doth know that in the day ye eat thereof, then your eyes shall be opened, and ye shall be as gods, knowing good and evil. And when the woman saw that the tree was good for food, and that it was pleasant to the eyes, and a tree to be desired to make one wise, she took of the fruit thereof, and did eat, and gave also unto her husband with her; and he did eat." Romans 5:12: "Wherefore as by one man sin entered into the world, and death by sin; and so death passed upon all men, for that all have sinned." a) Satan was expelled from heaven. b) Adam and Eve listened to Satan and disobeyed God in order to eat of the tree of the knowledge of good and evil. Romans 5:19: "For as by one man's disobedience many were made sinners, so by the obedience of one shall many be made righteous." a) that all humans are born as sinners but God has provided a way by which things can be made right. b) that all humans have a natural resistance to sin and temptation. c) that a permanent separation has been established between God and men with no way to make things right. a) man was created by God, in the image of God. b) man came up from the animals over a long period without God's intervention. 9. (OPINION) Has this lesson helped you to believe that God created you and has a personal interest in you?